Losing your teeth when you’re a kid is expected — your baby teeth are replaced by permanent teeth. But what if you lose one of your permanent teeth? Are you supposed to spit it out and forget it like some action hero, or proudly show off the gap like a hockey player? Please don’t — those are stereotypes! A lost tooth is not a lost cause. If you keep the tooth and bring it in to the Placerville Dental Group calmly and quickly, the damage may very well be repaired. But time is of the essence, so follow these steps. 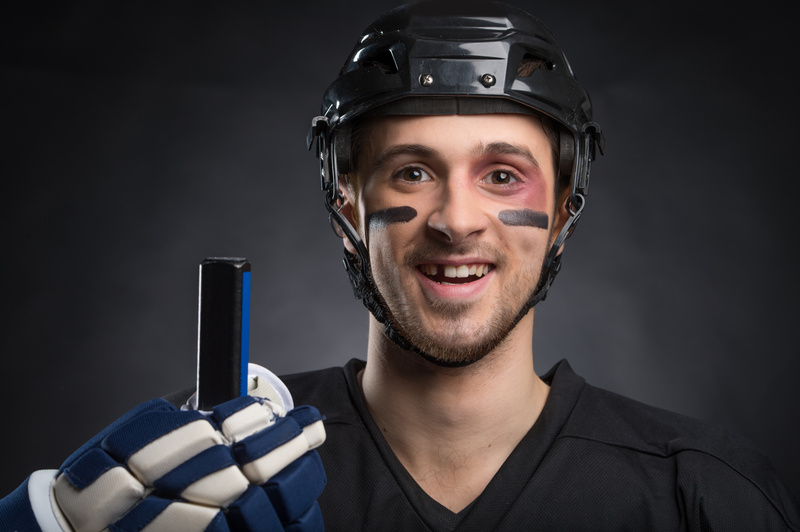 If the tooth was lost on a soccer field, skate park or hockey rink, that might prove challenging. Handle it gently by the crown (the part that chews the food), not the root. Carefully rinse it with cold water, preferably bottled water. Since milk is a pH-neutral substance, it also works as a rinsing agent. Do not scrub or wipe the tooth — that could do more damage. If the tooth is in pieces, handle them carefully and rinse them in the same fashion. Avoid an ice cooler or milk for storage, as those things could weaken the tooth. You do need to keep the tooth moist. The best place is in the mouth, where it belongs. Try to put the tooth back in its original socket. Clench your teeth very gently to press it back in as far as you can. If you can’t get it in the socket, carefully keep it between the cheek and gums. A cold compress on the cheek helps with swelling. If the tooth is in pieces, it’s a choking hazard — do not store a broken tooth in your mouth. Store it in a small plastic cup or bag instead, moistened with a little bit of milk or bottled water. A little saliva would be a better option, if the victim is comfortable with supplying some. It’s always a good idea to call ahead, and the number for Placerville Dental Group is 530-295-8000. If no dentist is available, a hospital emergency room will do in a pinch, since time is an important consideration. The ER will hopefully use a dentist on-call, but if there isn’t one, you are probably just going to be given painkillers. One of the most important things to remember is to stay calm, but act quickly. Many recommend getting to the dentist within thirty minutes, if possible. The sooner you get there, the better the chance your tooth has. If you or your child engages in activity with a higher risk to teeth, discuss the issue with the Placerville Dental Group. We can help you be prepared by developing a contingency plan with you. If the original tooth is not reparable, we have alternatives to replace it, such as dental implants or a bridge. When you come in, we go over all the options with you, and schedule follow-ups to monitor the repair. If your child’s baby tooth was knocked out, it’s usually best to leave it out and let the permanent teeth come in when they’re ready. Regular checkups with your dentist will make sure the permanent teeth fill the gaps successfully. Knocking out a permanent tooth is not the end to your smile. The Placerville Dental Group has extensive knowledge, experience and resources at your disposal. Please call us for more information, or we can discuss your concerns at your next checkup.